Zach Banner, a junior offensive tackle for the Trojans at USC, live Tweets being stuck in an elevator with seven other players. LOS ANGELES -- What happens when the USC offensive line gets stuck in an elevator? They live-Tweet it, of course. 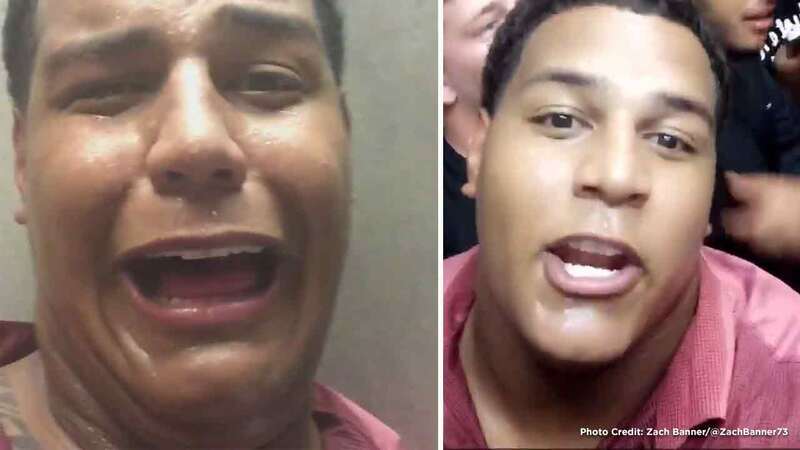 Zach Banner, a junior offensive tackle for the Trojans, entertained the Twitterverse after he and seven other players became stuck on an elevator. Banner, who stands at 6 feet 9 inches tall and weighs 360 pounds, sent the first Tweet at 6:30 p.m. on Friday. It simply stated, "We are stuck on the elevator...."
The following Tweet showed firefighters bringing food and water to the players and explaining to the players how they would get them out. After a series of hilarious Tweets, Banner let everyone know the players made it off the elevator safely at about 7:30 p.m.